What is Aboriginal Spirituality and 25 things we must learn from it. 25 Things . . .
What Do We Understand by Spirituality? Spirituality is a broad concept which gives space to everyone to define it in their way. All things considered, it is an all-inclusive human experience—something that touches every one of us. Individuals may depict a profound ordeal as sacrosanct or otherworldly. It is primarily an intense feeling of aliveness and interconnectedness. Somehow, Aboriginal spirituality does not strike a chord with people when mentioned. The reason could be that people associate spirituality with yoga, meditation, reiki, and much more. These, in fact, are few ways to attain spirituality; not the actual spiritual activity. For some people, spirituality is praying, visiting temples, churches and mosques, and for others, it is helping people in unfortunate situations. Many others find solace in long walks, social service, and quietness. What Does Aboriginal Spirituality Signify? Aboriginal spirituality follows a reasoning that builds up the holistic idea of the interconnectedness of the components of the earth and the universe. It focuses on how all things should live to keep up order and manageability. The profound sense of being is achieved by inclining with our ancestors and past. The spirits and spirituality are given immense importance. Everything is important-the living and the lifeless, individuals, the plants, and animals. Landforms and heavenly bodies are interconnected to each other. We have to live with the natural resources, not live off them. 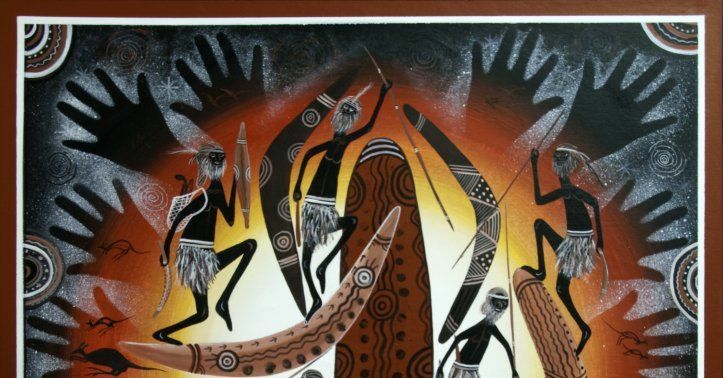 Aboriginal Spirituality values mythology, legends, stories, and songs which symbolize their roots. The importance of synchronization with nature and wildlife is told and retold by means of 'myths'. Senior citizens are highly respected in the aboriginal tribes. A disciplined way of living is the best way to live. Communication with people is of utmost importance. Everyone is equal in the eyes of nature. Meeting people is seen as a way of learning. Connectedness with land and nature which includes nourishment and shelter. Aboriginal spirituality teaches people to love themselves. Everyone is unique in their own significant way. It teaches people to take pride in remaining grounded to their roots. It believes in enhancing the bodily senses like vision, hearing, touch, and taste. Aboriginals value tranquility and acceptance. Social equalization must be practised to ensure that everyone is treated equally. A person's internal qualities are valued and enhanced. Purifying and feeling of being at peace heals the mind of all worries. The Aboriginal Law guarantees that every individual knows his or her connections and duties. It teaches regards for other individuals (their family). Nation, water sources, landforms, and species are notably valuable. Continuous association with the spirits is essential for humility and peacefulness. We owe everything to the land we live in. Aboriginal Spirituality has its followers in over 5,000 indigenous tribes across the world. Out of 7,000 languages spoken, they speak 4000. They are the original natives of the land which has been divided into territories. Aboriginals stick to their heritage, traditions, culture, languages, identities as they believe that any deviation from heritage will prove to be a downfall of humankind. Sustainability is the core of their beliefs which are implied in their routine. Sadly, political and social advancement of the modern world is challenging their rich heritage, and they are finding it hard to conform to a vastly different lifestyle. With the assistance of national laws and global agreements like ILO Convention 169 and the UN Declaration on the Rights of Indigenous Peoples, they are endeavouring to secure their fundamental rights and help introduce a global atmosphere of responsibility, well-being, peace, and generosity between all countries and states. It is unfortunate that modern man misunderstands spirituality. In a rush to fulfil the basic needs of life, people have become apathetic towards kindness and happiness. To put it another way, achieving material success is often equated with joy; it is apparently not so. Some people are living life, but there are very few who 'live' life. Attending yoga and meditation classes does not make a person spiritual but taking pleasure in small things does. Money and comfort have taken over people's lives which adds nothing to their happiness. On the other hand, Aboriginals have none of the material benefits, yet they do not feel devoid of anything. Their idea of spirituality begins and ends with nature, land, culture, respectfulness, truthfulness, and interconnectedness. The land is their home, and natural resources and wildlife their precious possessions. Their souls merge with every natural element present in their surroundings. In spite of lucrative nature of material possessions, Aboriginals are content with what they have. Their resistance against modernity is well-justified because they know what makes them happy. It is important to realize that our idea of attaining happiness is different from Aboriginals. Just because we are more developed in infrastructure, norms, and property, mental peace will not follow. To understand spirituality, inner peace is required, and that can only come by getting rid of guilty conscience which all of us are carrying. While trying to maintain our lifestyles, we have disrespected mother nature to the maximum. The laws of nature are being violated frequently. Deforestation and robbing natural resources have led our conscience astray. Also, we have caused division in the society. All we can see is war, carnage, bloodshed, crimes, and pessimism everywhere. Rich do not care about miserable, and the poor want to become rich by any means. As a result, a mayhem has enveloped the entire humankind. Need has taken over greed, which is a sad state. It is no wonder that no one is happy and satisfied with their lives. In reality, Aboriginal Spirituality is true to the meaning of 'spirituality. Perhaps, we can learn a lot from Aboriginals and stop looking at spirituality with modernity lens. Sooner or later, the true meaning of spirituality has to be realized. Peace is in small things; spirituality follows once you learn to be content. The true essence of living is feeling the kinship with land, nature, and universe. With this in mind, I will say that cherish nature and form a bond with it. Give away what you can; for happiness lies in small things. The key to spirituality is valuing the existence of everyone, even non-living beings. Let us get back to our roots, rather than running towards development. Human species has to prove its worth. After all, power comes with responsibility. Peace and happiness are followed by spiritual sense which can only happen when humankind proves that it is kind in the true sense.